What did Britain want in Palestine? A leading authority on the British Mandate in Palestine and the rise of the State of Israel. In his most recent book, published in January 2017, he focuses on the changing interests that lay behind British policy in Mandatory Palestine. He includes previously unpublished material and an introductory chapter surveying the changing views and interpretations of the Balfour Declaration over the past 100 years. 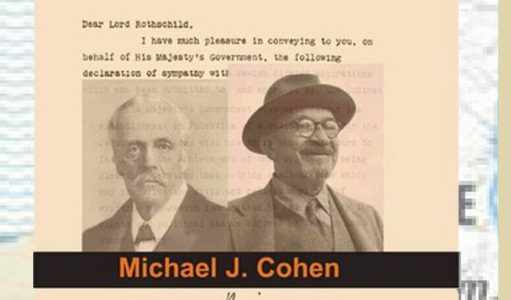 Professor Cohen’s essays are essential reading for anyone wanting a clear understanding of the Middle Eastern context of the Palestine Mandate and the rise of the State of Israel during this period. Copies of Professor Cohen’s books will be available for sale at a discounted price.